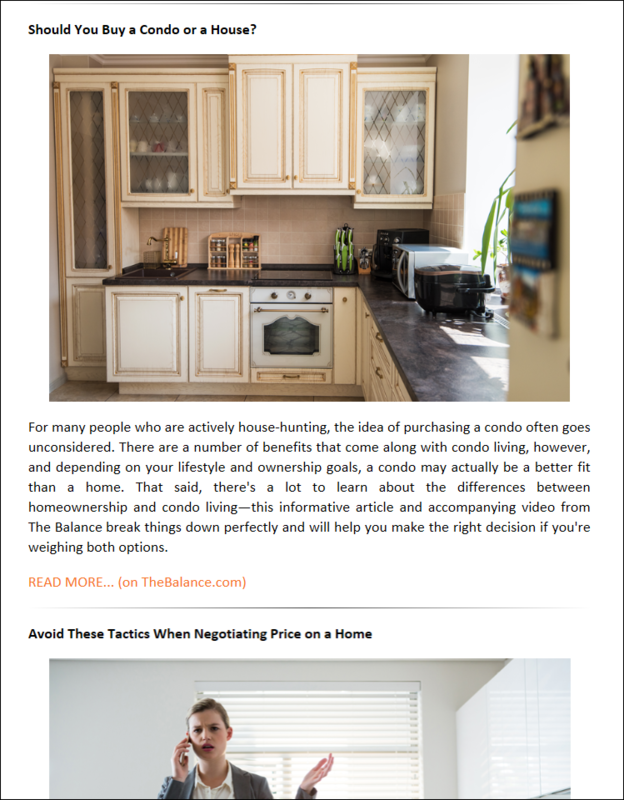 Each month, you'll have access to two unique, timely and up-to-date newsletters aimed at both clients and referral partners: The Mortgage Adviser and The Market Beacon, respectively. 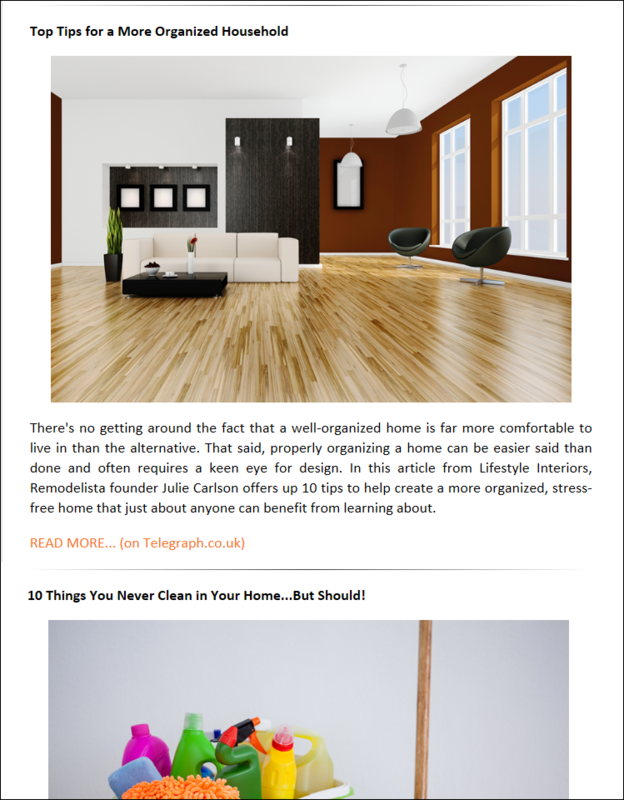 Featuring recent news articles from reputable sources, seasonal tips and tricks and much more, each newsletter is designed to help you add value to the lives of your most important contacts (newsletters are available exclusively to our customers on the Cimmaron Enterprise plan). 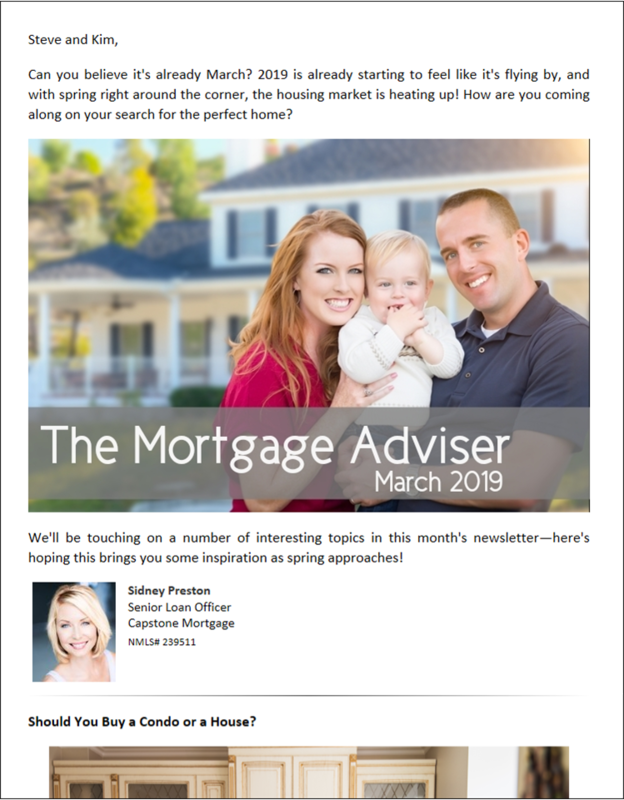 The The Mortgage Adviser is a monthly email newsletter designed for your past and present clients, as well as new leads. With a mix of seasonal content, lending education, lifestyle articles and more, it's an excellent tool for increasing overall visibility while keeping your clients informed. Whether it be an approaching holiday, shifts in temperature and weather patterns or increasing/decreasing daylight hours, seasonal change affects everyone in one way or another. 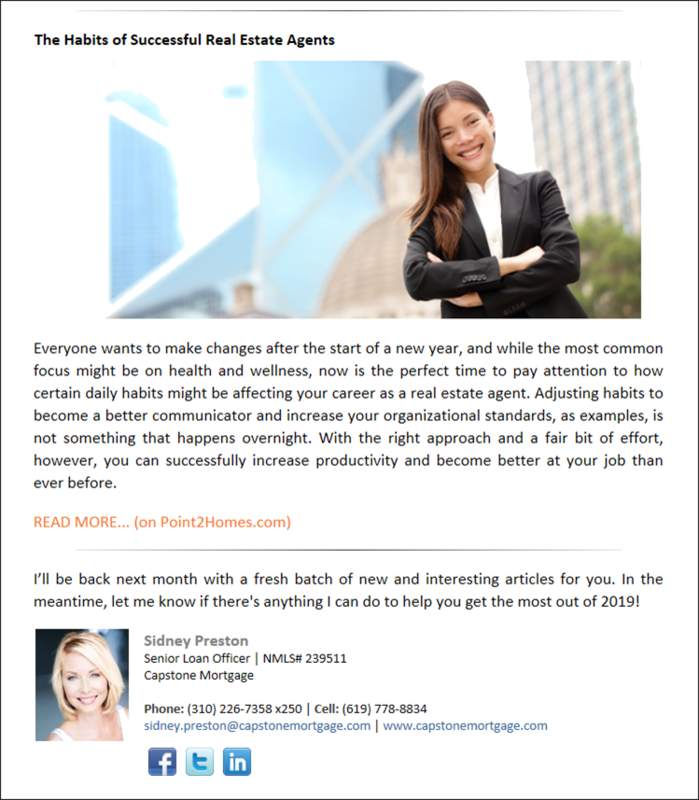 From articles designed to help readers beat the "winter blues" to tips for getting a home under contract during the busiest time of the year, The Mortgage Adviser helps keep your communications timely and up to date with helpful and informative seasonal content. There's no getting around the fact that homeownership comes along with certain responsibilities, many of which people don't even consider until they come face to face with them. 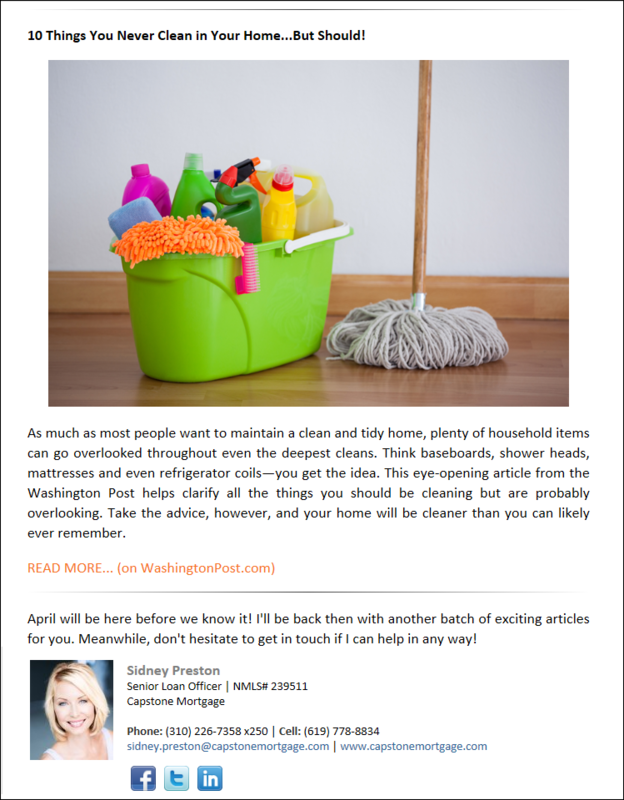 Each monthly edition of The Mortgage Adviser contains tips aimed at clients who are either searching for their new home or have already landed there, including cleaning "hacks," ideas for better organizing, remodeling advice and much more—all designed to help empower current and future homeowners. What should a prospective buyer look for when shopping loan options? How does a VA loan differ from an FHA loan? What about common mistakes made by first-time buyers? 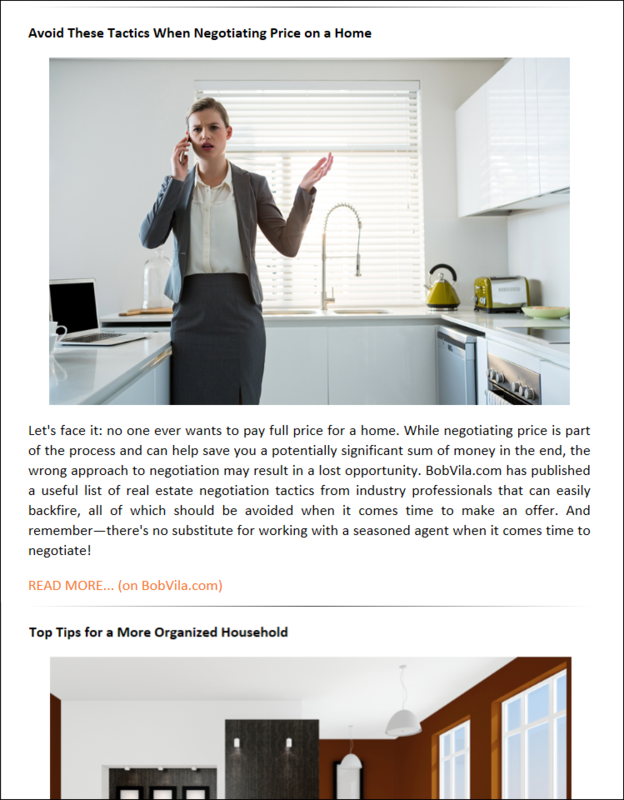 The Mortgage Adviser delves into all of this and more, featuring new articles each month designed to help educate your clients on all the finer points of the home loan process. It's a useful primer that even current homeowners can benefit from receiving, especially if you have clients who are interested in purchasing a second home. Getting the most out of homeownership is about more than just making valuable home upgrades and understanding the pros and cons of refinancing—it's about creating a holistic and healthy lifestyle for the entire family. Cimmaron provides you with only the best lifestyle-related content, including health and wellness education, entertaining tips, ideas for fun family activities and much more. 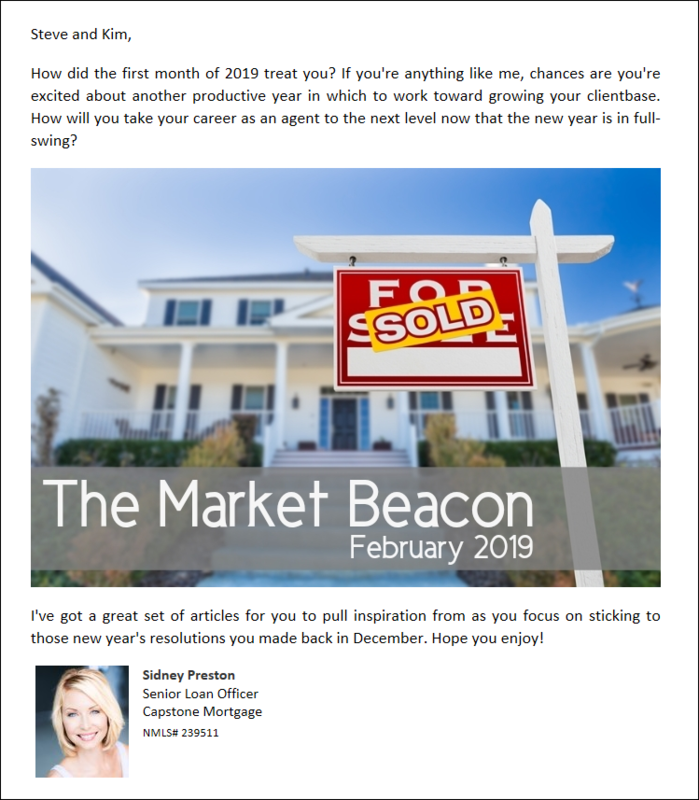 The Market Beacon is a monthly email newsletter developed specifically for your referral partners and important business contacts. Featuring industry news, client relationship management tips, market forecasts and a revolving batch of valuable articles, it's the best way to position yourself as a thought leader in your field. 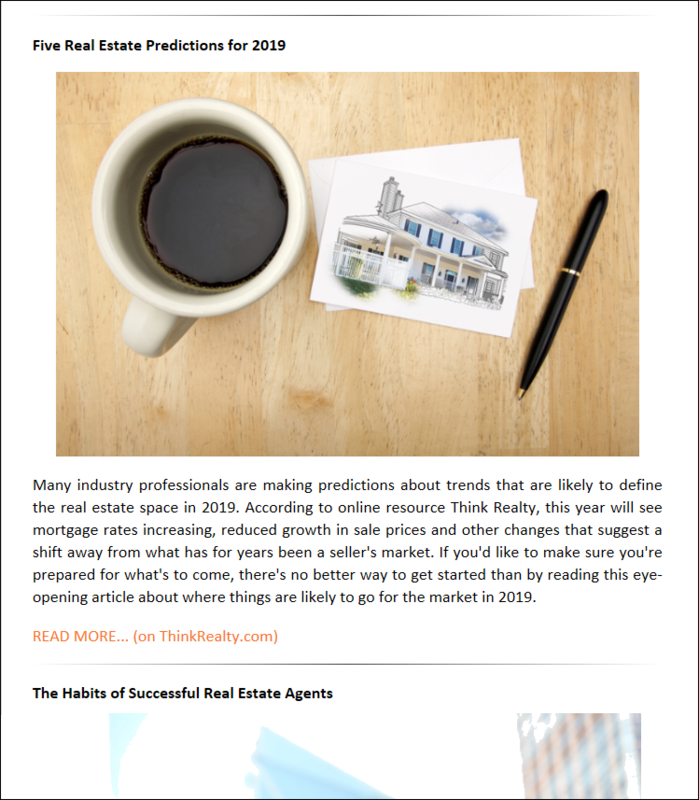 The real estate world is constantly evolving, with news and developments regularly coming to light. 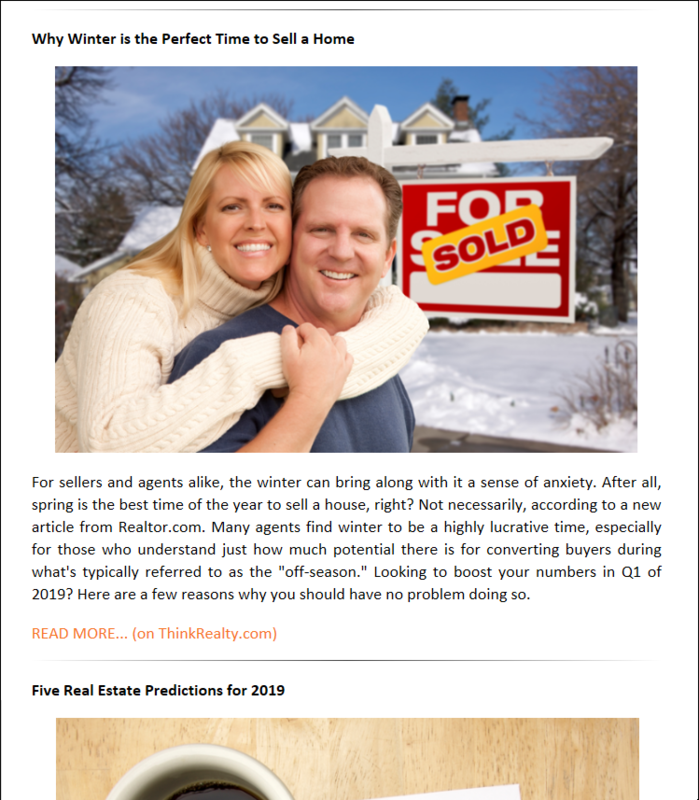 Your referral partners owe it to themselves to stay on top of what's currently happening, which is why Cimmaron includes the latest industry news in each monthly edition of The Market Beacon. From regulatory changes to news about what's shaking up the industry, you can help keep your most important contacts informed and educated throughout the year. Being a successful agent takes years of hard work and dedication, and a little bit of helpful advice can go a long way with your referral partners. 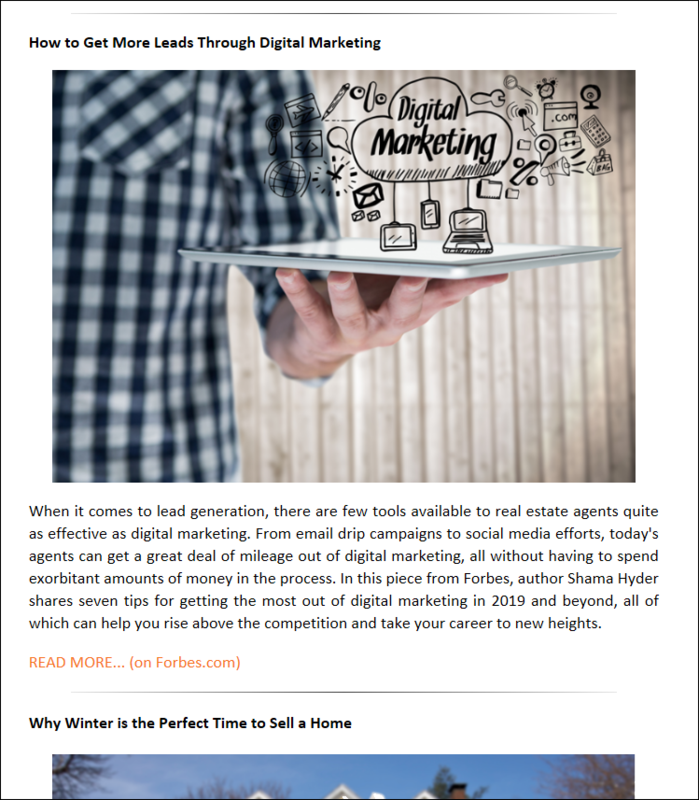 Each month, The Market Beacon provides insightful articles featuring actionable tips on such topics as digital marketing for Realtors, customer relationship management, home staging and much more. So useful, it's bound to help keep your name at the top of the list for referrals. Where is the market sitting currently, and where are things heading in the coming six months? What about that impending correction everyone has been talking about? The Market Beacon helps keep you and your referral partners up to date on the latest forecasts from industry-leading sources, ensuring you and your team never fall behind the times when discussing action plans or working with new clients.